Maureen E. (Scanlon) Denio, 80, formerly of Lancaster, died peacefully at Beaumont Nursing Center in Northborough on Monday, January 21, 2019. Her husband, Richard L. Denio, predeceased her in June 1981. Maureen will be missed by her five children, Michael Denio of Boylston, Maryellen Johnson and her husband, Malcolm, of Clinton, Richard Denio and his wife, Julie, of Shrewsbury, William Denio and his wife, Michele, of Jacksonville FL, and Maureen Denio and her wife, Nicole, of Ayer. She also leaves 7 grandchildren and 6 great-grandchildren. Born and raised in Clinton, the daughter of Michael and Edith (Morey) Scanlon, she was a graduate of Clinton High School. Maureen spent many years being a full-time mother to her children until beginning a 15-year career at Hanover Insurance in Worcester as a Credit and Collections Specialist, retiring in 1992. She later went back to work at Macy’s in Leominster for several years until 2010. Maureen’s biggest joy in life was being a mother. She had a generous spirit and was always there for all of her children, and anyone else that needed her help. Her outgoing personality and smile would light up any room, and striking up a conversation with anyone that she came in contact with was never a problem. She maintained her personality right up until the end, never losing her smile. Maureen also enjoyed spending summers at Hampton Beach and made regular trips to Disney World and Las Vegas. She attended many Neil Diamond concerts over the years and was a passionate Red Sox and Patriots fan. She was an animal lover and her dogs Tucker and Emma brought her much joy and companionship. 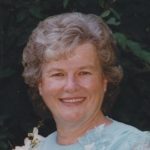 Maureen E. (Scanlon) Denio, 80, formerly of Lancaster, died peacefully at Beaumont Nursing Center in Northborough on Monday, January 21, 2019.